His career has included positions as a parliamentary assistant to several MPs and shadow ministers, covering public sector and constitutional reform and as a special adviser in three government departments, working with two Cabinet Ministers, including at the Cabinet Office and Communities & Local Government (CLG). He was a consultant to the London Borough of Lewisham for three years, working as head of communications alongside the Mayor and Cabinet. He also worked as a consultant for the London Borough of Waltham Forest, and briefly for the London Borough of Barnet. Paul has provided training and consultancy to a variety of UK government departments and agencies including the Home Office, HMRC, DWP, Office for National Statistics, DECC, and Office of the Deputy Prime Minister (ODPM). As a temporary civil servant, he headed up the communications unit for the Neighbourhood Renewal Unit (NRU). Paul’s international work includes a project in northern Iraq working with Iraqi Parliamentarians, and for DfID officials in South Africa, Tanzania, Kenya, Ghana and Pakistan. He has run courses in London for civil servants from across the globe, including Vietnam, India, China and many African countries. Paul is the author of four books on public policy and political themes, as well as several policy pamphlets. He was chair of the Fabian Society, the world’s oldest think tank. He was a parliamentary candidate in the 1997 and 2001 general elections. Paul Richards regularly appears on radio and TV, including Newsnight, the Today Programme and Sky News, and has written for many newspapers and magazines including the Times, Guardian, Independent, Financial Times, Mirror, Mail on Sunday, and the Spectator. Paul is married with two sons, and lives in Sussex by the sea. Iain Campbell is Communications Manager in the Scottish Government’s Resilience Division, which plans for and responds to major incidents and emergencies in or affecting Scotland. In this role he provides strategic communications advice and support to the Scottish Government. Prior to this, he spent seven years in various communications roles for the Crown Office and Procurator Fiscal Service (Scotland’s prosecution service), finally as Senior Communications Officer managing the public communications around numerous high-profile criminal cases. 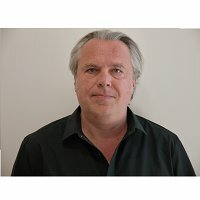 He is author of “Serious Organised Crime: The Role of Communications in Reducing Demand, Victimisation and Fear” and has led on the most recent edition of “Warning and Informing”, the national crisis communications guidance for Scotland. He also manages the Ready Scotland social media channels and website. 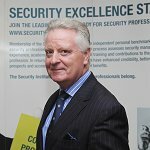 Garry is a Chartered Security Professional and is currently Head of Security & Emergency Planning at Westminster Abbey having previously been Group Head of Security Operations for the global banknote and passport manufacturers DeLaRue plc. Prior to this he was a Lieutenant Colonel in the Royal Military Police having served in Iraq, Bosnia and West Africa. His broad security background is complemented by a MSc. in Policing Science (Portsmouth) where he won the Vathek Postgraduate Prize, a Pg.Dip. in Security Management (Loughborough) and the PGCE in Higher Education (Surrey). He is Vice President and Immediate Past Chairman of the Security Institute and was involved with the launch of the Chartered Security Professional (CSyP) programme. His other experience includes regularly presenting at OSCE Vienna and conferences in Asia. He is the present Chairman of the Royal Military Police Association (Hampshire) and previously a Trustee of Victim Support for over 9 years. James Lindsay is a crisis manager, resilience expert and programme manager who stepped in as the Head of Crisis Management for Cambridge Analytica during the Facebook scandal. He is a former Regular and then Reserve British Army officer who attended Staff College at the UK defence Academy. He then trained as a management consultant at PWC before becoming an independent consultant. 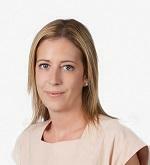 At PwC Lindsay specialised in Programme Management and was the EMEA lead for Business Continuity Planning.Lindsay was one of the team of three PwC staff who successfully brought Equitable Life through the Guaranteed Annuity (GAR) disaster. As an independent consultant Lindsay has worked for numerous large blue chip organisations both on major regulatory and resilience projects and programmes. During his career as an interim manager James has worked with numerous clients on a variety large scale change projects. He will join us at Crisis Communication Communications 2019 to explain the mechanics of Cambridge Analytica’s crisis management, as experienced from the heart of the storm. He will share stories of the impact on staff and some of the practical challenges that resulted from such immediate alteration from ‘business as usual’. This is not a discussion of the rights or wrongs of business decisions, but a real-life dissection of the effects on ordinary staff members, key processes put in place to cope and the importance of clear communications strategies. Laurie is currently working as the lead on communications and community engagement for the recovery of Salisbury and Amesbury following the nerve agent attack incidents in 2018. This role has involved working with many local and national Government agencies and stakeholders and managing the persistent high level of local, national and international media interest. The city’s recovery is not a short-term fix. Communications and engagement has underpinned the recovery programme. The decontamination and clean-up of the city focused on consistent and reassuring messages to residents and visitors. The focus continues to boost the economy and deliver major events to encourage footfall; such as Christmas in Salisbury and hosting National Armed Forces Day 2019. Through this major and unprecedented incident, Laurie can share the learning and insight; particularly the need to build robust relationships and manage a range of diverse stakeholders, and above all to plan and deliver consistent, clear and strong messages. Rachel is Director of Communications for the Department of Health and Social Care, and a senior member of the Government Communication Service. Rachel has worked as Head of News, managing one of Whitehall’s busiest media operations, and acts as communication gateway to 26 government and non-government health agencies. She has worked for six successive Secretaries of States for Health becoming a trusted advisor as well as safeguarding the reputation of the department and integrity of the NHS brand. She won industry awards for her work leading the government’s response to Ebola as well as leading the department’s response from industrial disputes to waste management. Rachel has worked directly for Ministers as Private Secretary, as well as in policy, and led engagement on the independent Inquiry into care provided by Mid Staffs Hospital. She currently leads communications for DHSC’s response to BREXIT, as well as launching the government’s Long Term Plan for the NHS. Joey is Strategic Counsel at Cicero, providing strategic political and communications advice to Cicero’s multinational client base. Joey is a former spokesperson for Theresa May, appointed ahead of her successful leadership campaign, and spent 16 years at Sky News as Deputy Political Editor. Through his work at Sky, Joey was able to understand and communicate complex political issues to a broad audience sector. Joey joined Cicero from Weber Shandwick where he was Head of Public Affairs, working across a range of clients including B2B, global development, healthcare, digital policy and pharmaceuticals. Ryszard has more than 20 years communications advisory experience. He started his career in investment banking with Nomura before moving to the international PR consultancy Brunswick. Recognising the wealth of critical insight in online conversation, Ryszard was part of a team that founded Social360 in 2008 to provide flexible online monitoring solutions to some of the world’s biggest organisations and PR agencies. Bridget Aherne Chart.PR is an award-winning public relations leader whose work since going it alone was recognised at 2018’s CIPR Excellence Awards, where she was named outstanding independent practitioner. She provides counsel to the leaders of organisations across the country – as well as remaining hands-on in the delivery of activities for those she works with. Bridget’s time in PR has seen her work for large public sector organisations including police, fire and local government. 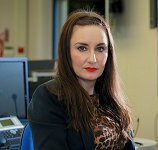 Her work at Nottinghamshire Fire and Rescue Service was recognised at the 2015 CIPR Excellence Awards where she was awarded the title of CIPR & IoD PR Director of the Year. Cormac Smith has over 25 years’ experience working in public relations. Between 2003 and 2018 he has held senior communications positions in UK local authorities, Whitehall departments and the Ministry of Foreign Affairs in Ukraine where he was the UK’s strategic communication advisor to the foreign minister. 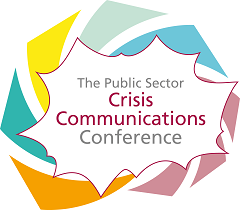 For the last decade Cormac has been committed to the development of best practice in UK public service communication. He has chaired the UK national professional body for public service communication, LGcommunications, for four years, stepping down down in 2016 when he moved to work with central government. Specific professional interests include media and presentation skills training, public speaking and crisis communications. Having spent 18 years in local and central government following on from nearly a decade in pharmaceutical public relations Cormac now works as a consultant specialising in change management and business transformation.